Paul and Giovanni, originally uploaded by EcoSnake. “The Bean Farm” sells exceptional herpetological and other pet supplies from their mail order office in Carnation, Washington, USA. 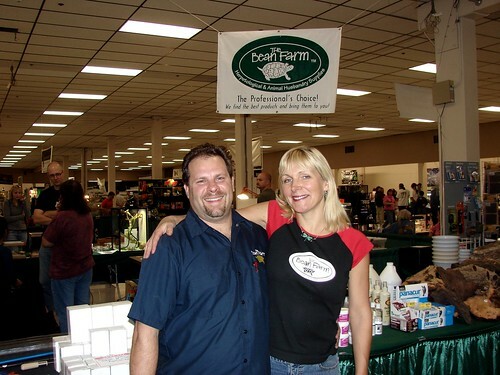 Giovanni and Paula Fagioli (pictured here at the Northwest Captive Reptile Breeders Expo which they have hosted for fourteen years) work very hard to not only provide quality products but also to educate the public, not only about amphibians and reptiles, but also about the conservation of all wildlife.